The TV host tweeted a 15-second clip of the seven-member K-pop band ahead of their appearance on The Late Late Show, which is due to air on Tuesday evening in the United States. During the footage, the band members – V, Suga, Jin, Jungkook, RM, Jimin and J-Hope – are seen dancing while the audience’s screams can be heard in the background. The band are providing the music for the episode, which will also feature interviews with rapper and music mogul Sean “Diddy” Combs and actor Ashton Kutcher. It marks the second time the band will have appeared on Corden’s CBS show after they made their debut performance on the programme in November 2017. 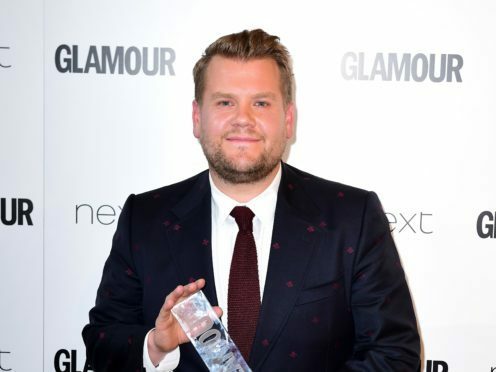 Corden, 39, announced the band would appear by sharing a picture of himself surrounded by all seven members. He captioned the picture: “On June 12th. They’re back. These guys are so great, thanks for picking us BTS x”. In May, BTS became became the first K-pop artists to top the US album charts. Their record Love Yourself: Tear – which is performed predominantly in Korean, but does have some English lyrics – was the first primarily foreign-language number one album in over 12 years, according to Billboard.